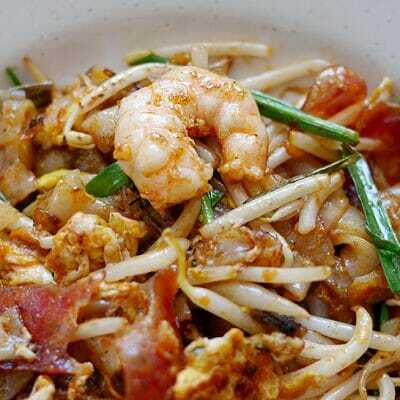 Serai Thai in Shah Alam has a cosy look and feel; a neighbourhood restaurant that has been around for more than 10 years. 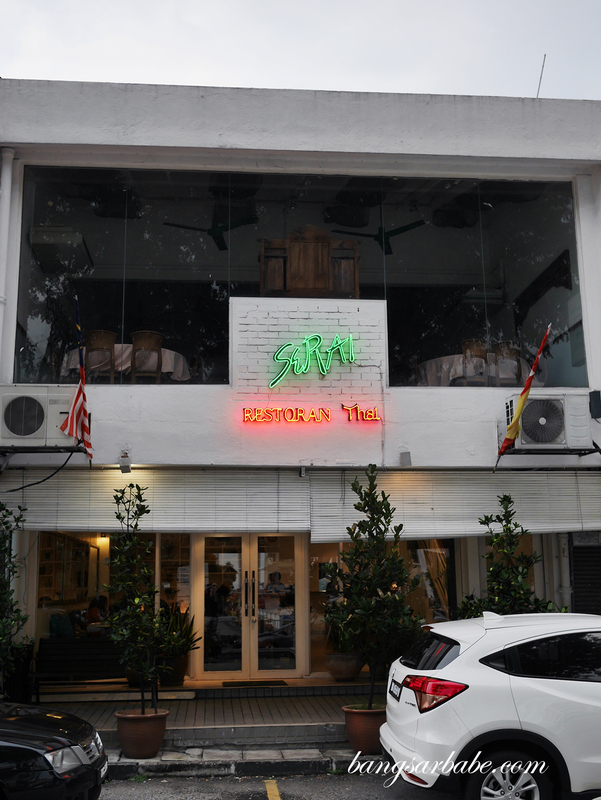 This is the first outlet by the people behind Serai Group and until today, attracts a steady stream of loyal customers. 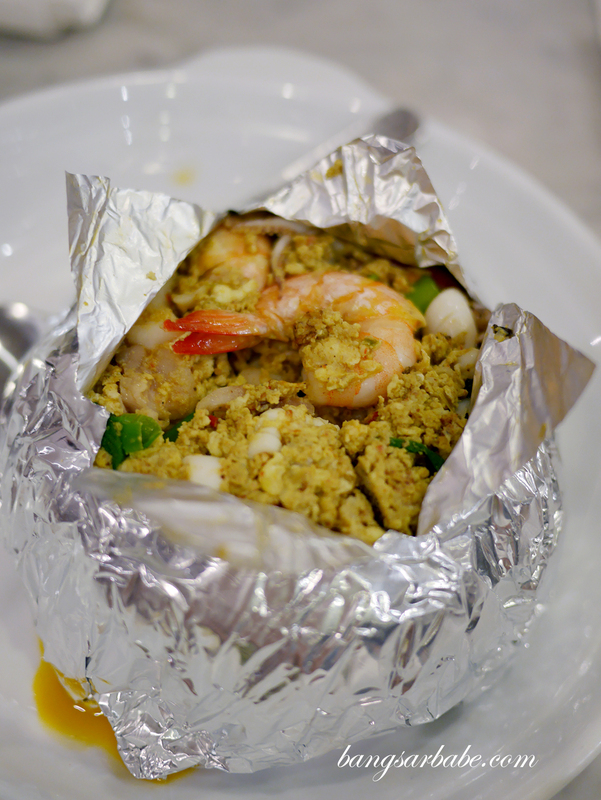 It was my first time there, along with a large group of friends and we ordered quite a number of signature dishes – tom yam seafood, otak otak, green curry chicken, kailan with salted fish, Thai seafood salad, salted egg yolk squid and brinjal belacan. 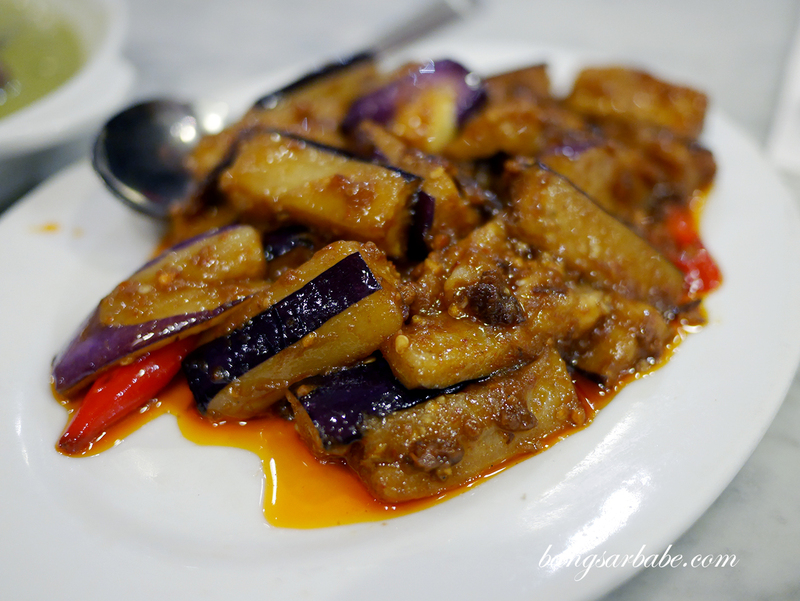 Our top picks for the night would be the squid and brinjal; the latter packed a wallop of flavour of the sambal cili and was aromatic from the toasted belacan. 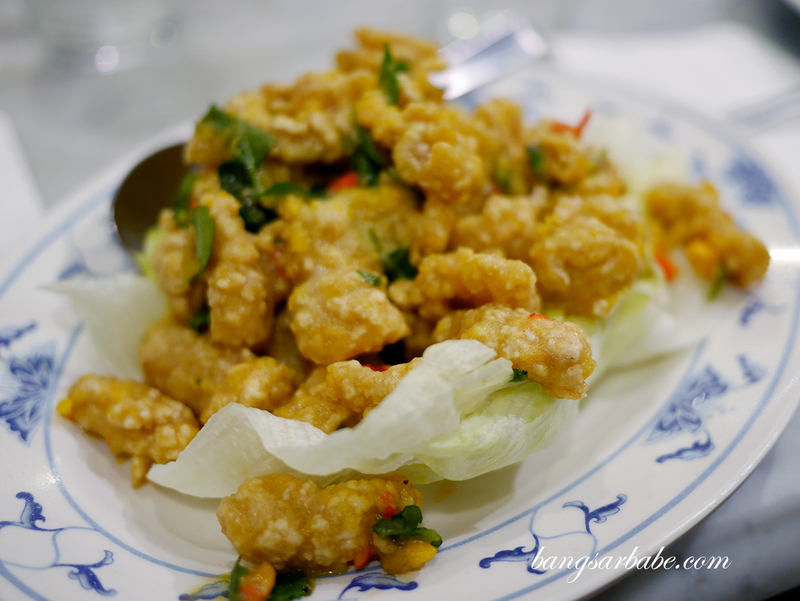 I liked how generous they were with the salted egg yolk coating for the squid, as it does make a difference in the dish. A side note though, the squid was a tad overcooked so some parts were rubbery. Thai seafood salad was too salty so that didn’t allow us to appreciate the tangy dressing nor the sweetness of the seafood. 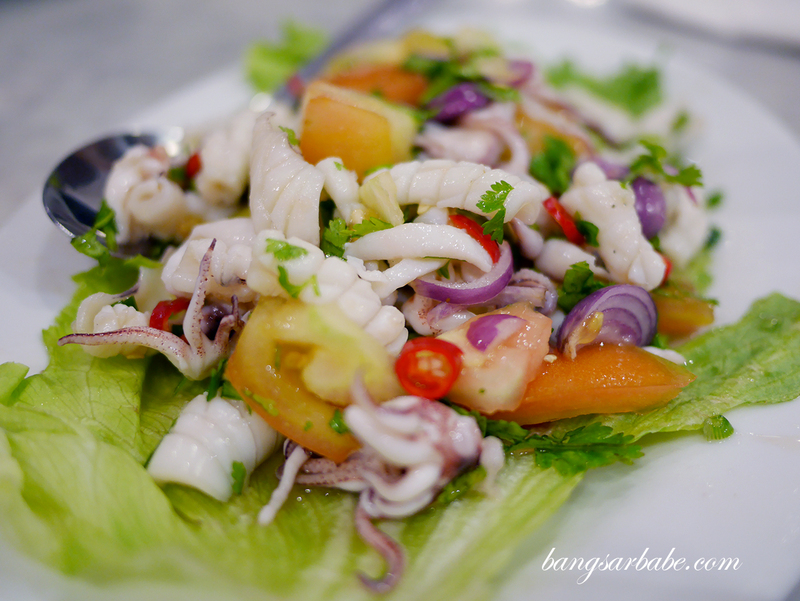 Like the salted egg yolk squid, the squid in this salad was also overcooked, to a point it was rubbery. I wouldn’t recommend this. 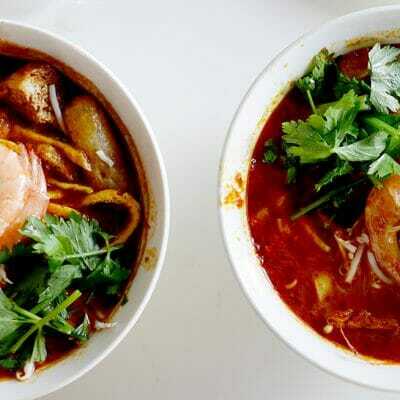 Try the seafood tom yam at Serai Thai if you like your soups fiery and sour. This one hit the spot for me for there was a good kick from the chili and plenty of aroma from the lemongrass. 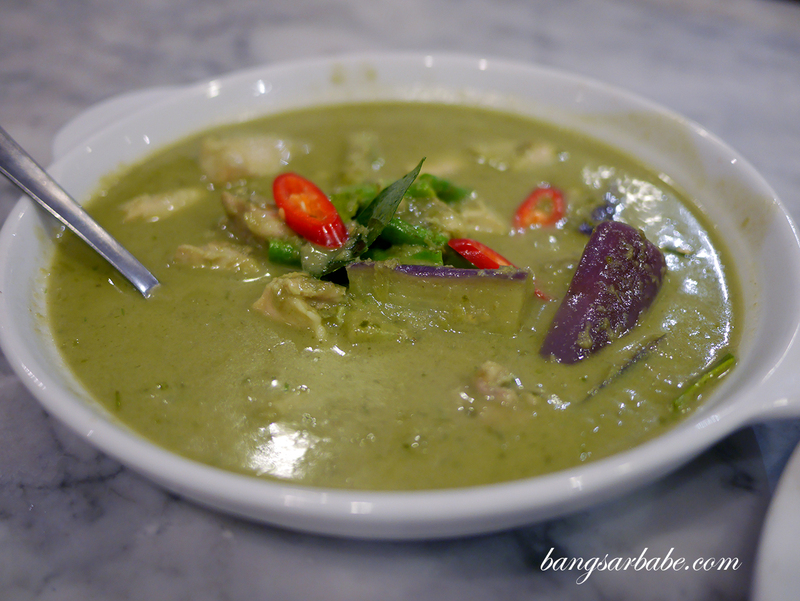 The green curry chicken was decent – nothing particularly memorable but good enough to enjoy with steamed rice. The otak otak had more vegetables than seafood, something I don’t fancy as I always look forward to the latter when I order this dish. 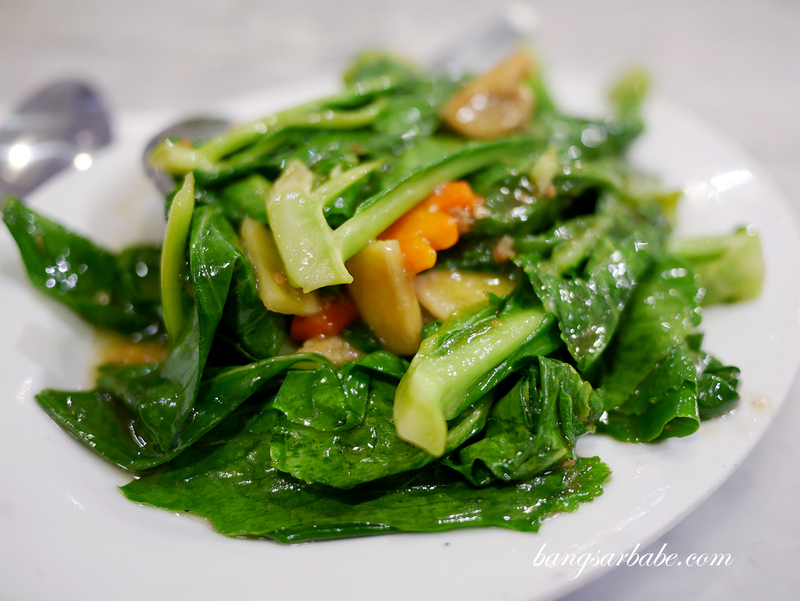 If I wanted vegetables, I would order the kailan with salted fish, which Serai Thai does pretty well. I liked that the vegetables were just-cooked and not overpowered by the fish. Dessert was the tub tim krob, a simple end to our sumptuous meal. 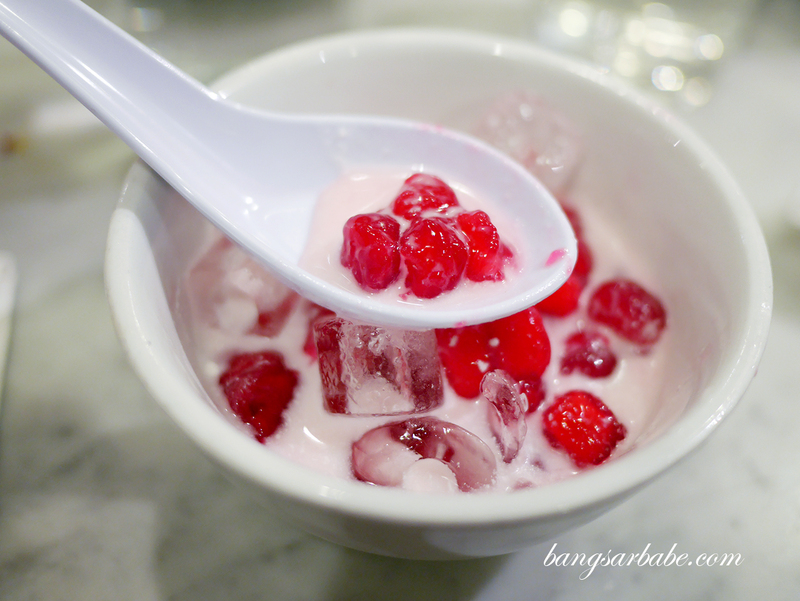 This is too sweet for my liking so if you’re planning to order one, do ask them to halve the sugar. Verdict: I found the food decent, though there were a few misses.